Above all the service! The staff literally go above and beyond to make sure you have the best stay. I greatly appreciate all they did to help! 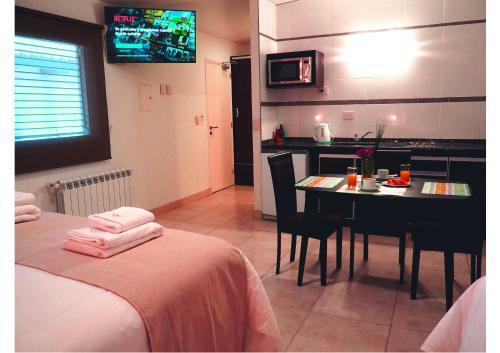 But the whole stay, the breakfast baskets, the super comfy beds, the hot good pressure shower, the Netflix and massive TV. Really an awesome stay all around. The front desk staff were very helpful and friendly. Hotel security was good. The area was near enough for a short walk of a few blocks to nearby restaurants and stores. 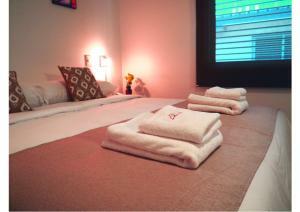 The room was spacious and sparklingly clean. It was great to have a kitchenette and small table to have breakfast. They room came with welcome baskets of several types of cookies and juice which was a nice touch. The staff was really amazing. Well designed Hotel with parking facility. Spaceous room with kitchenette. Excellent service, friendly staff. 5Good bathroom. Everything new (15.2.2019) and clean. Maintain the high standard that you have and customers will always be satisfied. Thanks for the enjoyable stay. Gostei de tudo na acomodação, principalmente da atenção dos funcionários da recepção, todos com excepcional cordialidade e em especial, a gerente Julieta. 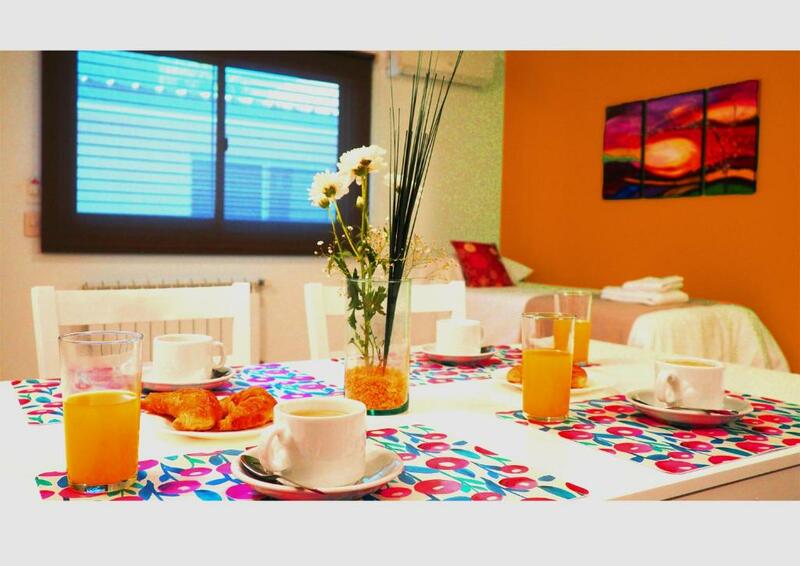 El personal y la ubicacion, el desayuno es generoso. .
Reservamos por 3 noches y nos quedamos 6. 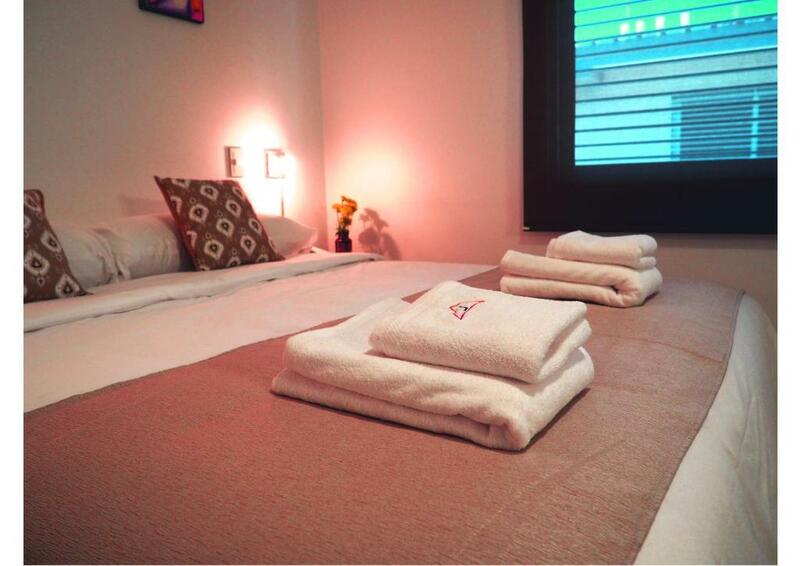 Lugar ideal para recargar energías. Estaba todo impecable. Las habitaciones super amplias y muy práctico tener todo lo necesario para poder cocinar. La ubicación excelente. Pero, lo mejor, sin duda, Julieta, Pablo y todo el equipo, espectacular. Dispuestos a ayudar en absolutamente todo lo que necesitáramos y haciendo todo lo posible en cada momento para que nuestra estancia fuera perfecta. De verdad, gracias por todo! Y felicidades por vuestro trabajo! Os deseamos lo mejor! Pasamos solo dos noches pero fue todo muy agradable, el trato del personal excelente, la cama comodisima, amplia y todo bien limpio. Super recomendable. La calidez con que atienden todos los chicos, siempre pendientes de que nos sintieramos cómodos, todos los días recibíamos consultas. El desayuno muy bueno y la seguridad del lugar espectacular. Todo muy lindo..son departamentos nuevos y de mucha calidad...muy cómodos y buena atención. 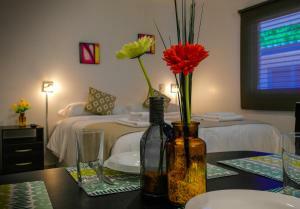 Lock in a great price for Umbral del Aconcagua – rated 9.6 by recent guests! One of our best sellers in Mendoza! 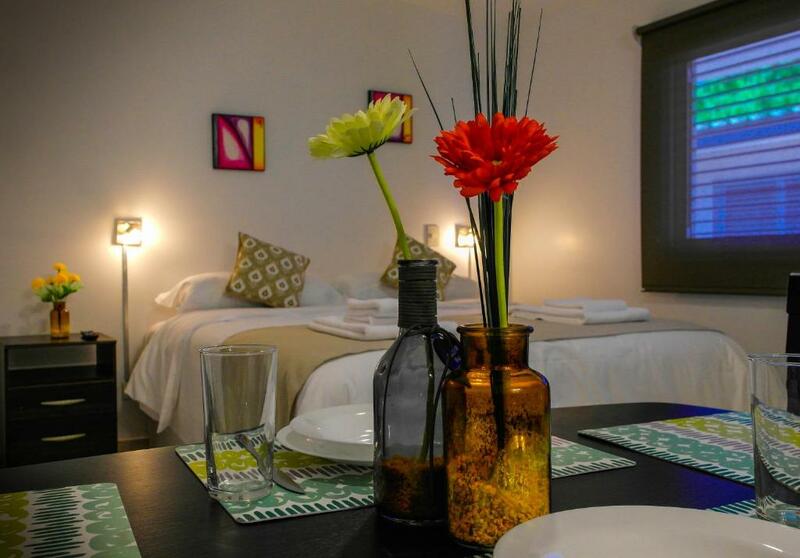 Located in the Mendoza City Centre of Mendoza, within an 8-minute walk of Paseo Alameda and 0.7 miles of Pasado Cuyano Museum, Umbral del Aconcagua provides accommodations with free WiFi. All units include a fully equipped kitchen, allowing guests to prepare their own meals. A microwave and electric tea pot are also available. 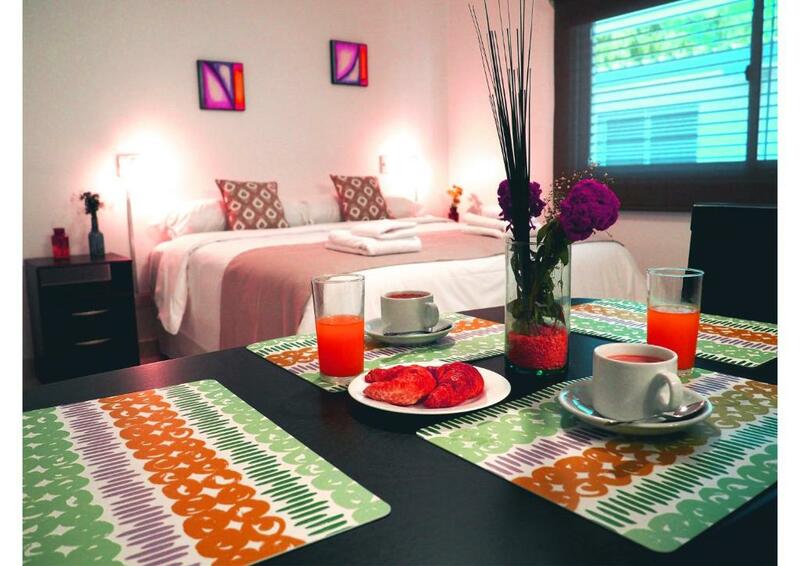 Independencia Square is a 15-minute walk from the condo hotel. The nearest airport is Governor Francisco Gabrielli International Airport, 6 miles from the property. When would you like to stay at Umbral del Aconcagua? This apartment has a microwave, kitchenware and private entrance. House Rules Umbral del Aconcagua takes special requests – add in the next step! Umbral del Aconcagua accepts these cards and reserves the right to temporarily hold an amount prior to arrival. Please inform Umbral del Aconcagua of your expected arrival time in advance. You can use the Special Requests box when booking, or contact the property directly using the contact details in your confirmation. The breakfast provided was too sweet (all cookies and sweet juice), an option of a non-sweet bun for those not with a sweet tooth would be a suggestion. I rated the facilities a bit lower because in room 8, the soap holder on the wall would tilt and spill the soap into the sink. The kitchen did not have any utensils to cook with (no spatula, no cooking spoon, etc), the microwave was almost 6 feet off the ground so reaching it was a bit challenging. The door hinges were very strong so they would slam loudly if you were not careful (it might help if they put an insulation strip inside the door frame).